"The ByrneBand is an electrified string ensemble with mandolin, electric guitar, DJ and keyboard programmer. With samples, effects, and amplification, the ByrneBand makes a graffiti-wall of ambient noise." 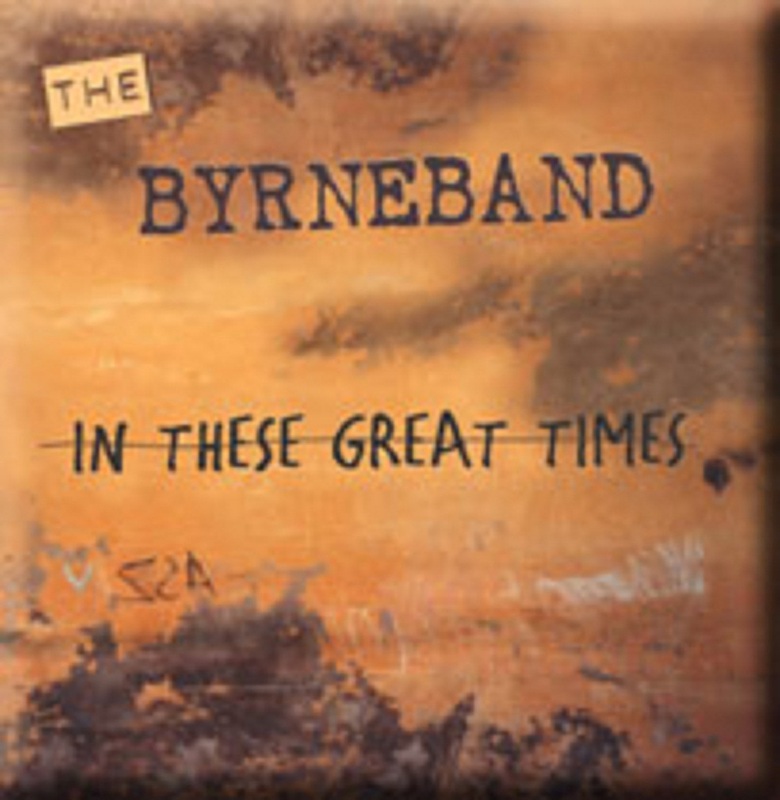 In these great times is a collection of pieces written for the ByrneBand (voice, violin, cello, mandolin, electric guitar, bass, and keyboards). The music combines hard-edged post-minimal instrumental pieces with vocal tracks suggesting warped German cabaret songs. Added to the mix are electronic soundscapes. Together they form a CD that blurs the boundaries between experimental new music, world music and rock'n'roll. For this project Byrne is joined by the sound designer Steve Stelios Adam who contributes two pieces and adds an electronic element to the gritty amplified sound of the ByrneBand. The title "In these great times" is taken from an ironic text written in the 1930s by the Austrian writer/critic Karl Kraus.